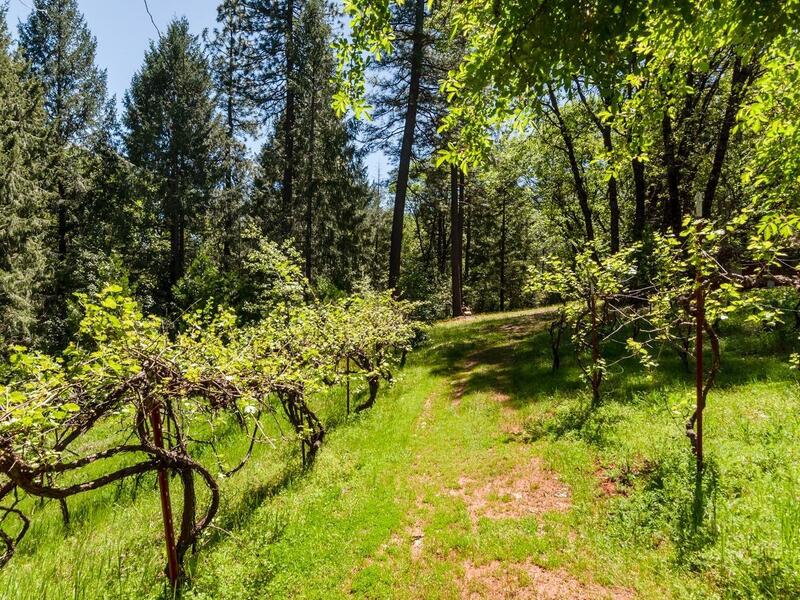 Apple Hill Estate. 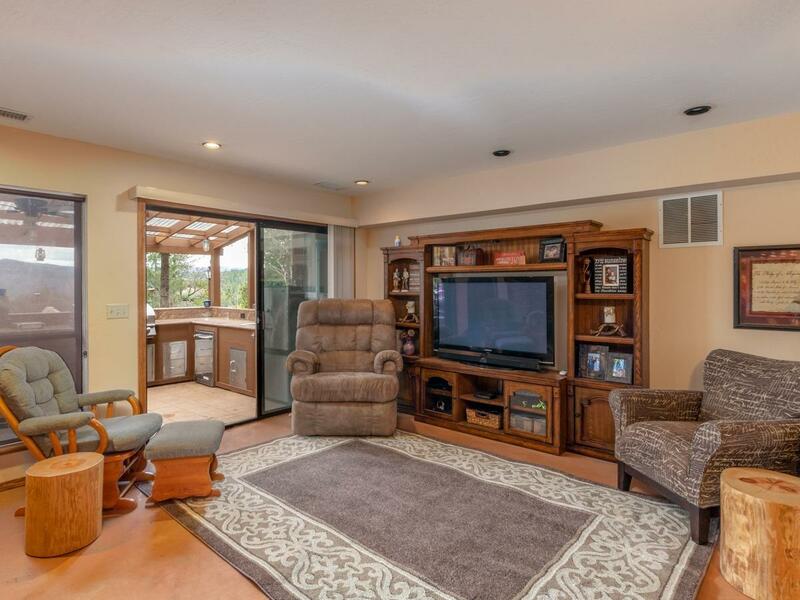 Main home with ample entertainment options, 2nd home (can expand) and a 3rd studio too. 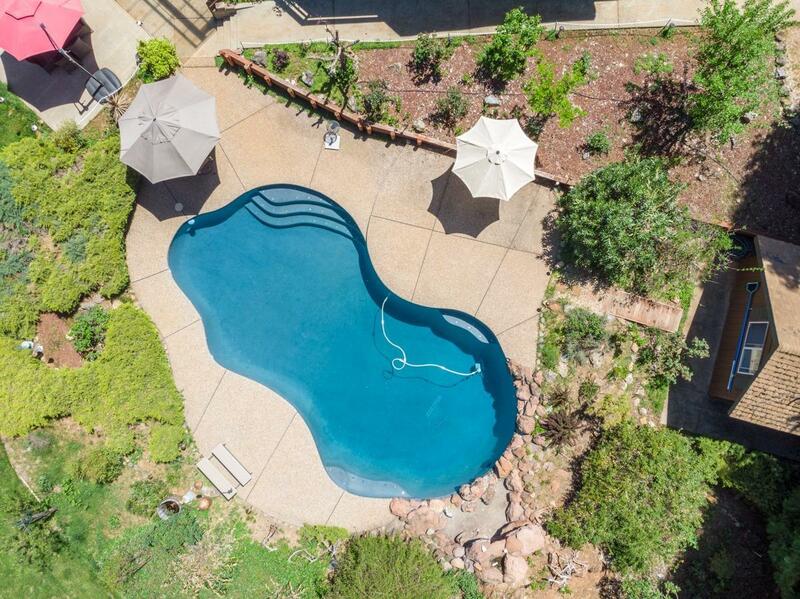 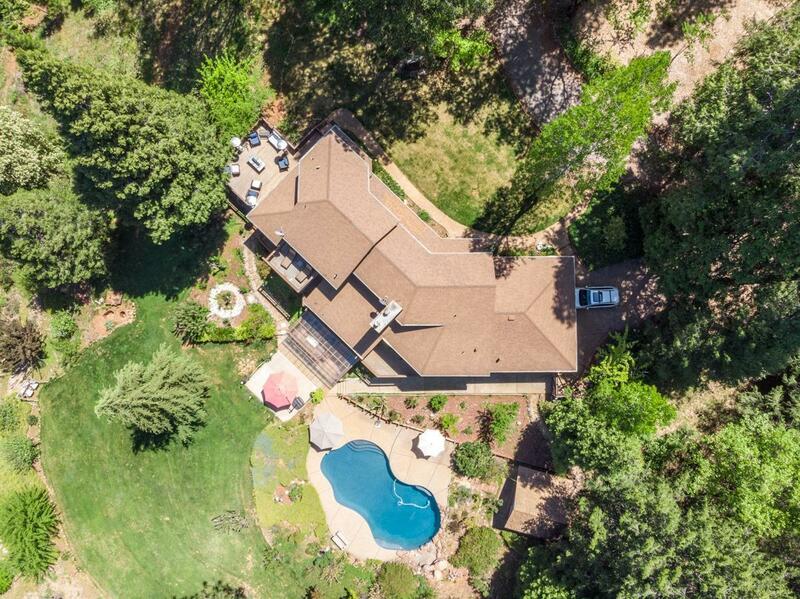 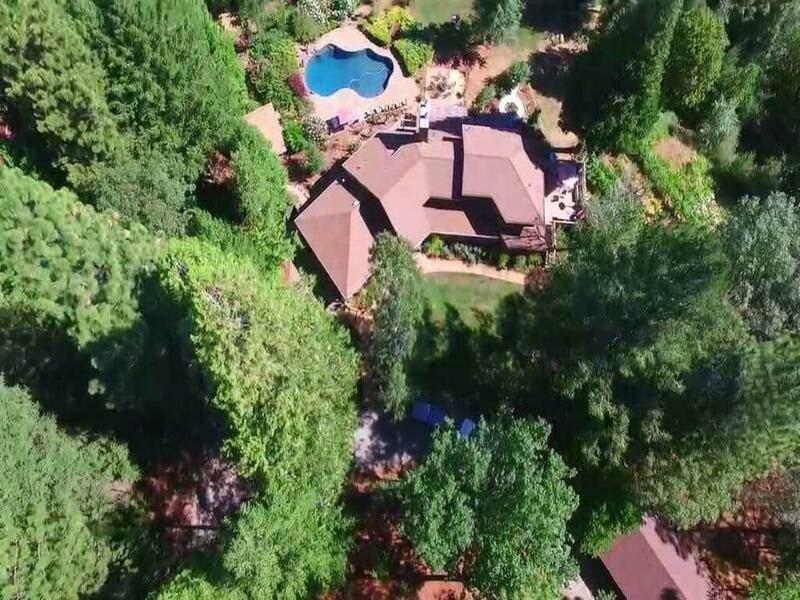 Built in pool with a pool house, groomed property with fruit trees, grapevines, roses and so much more. 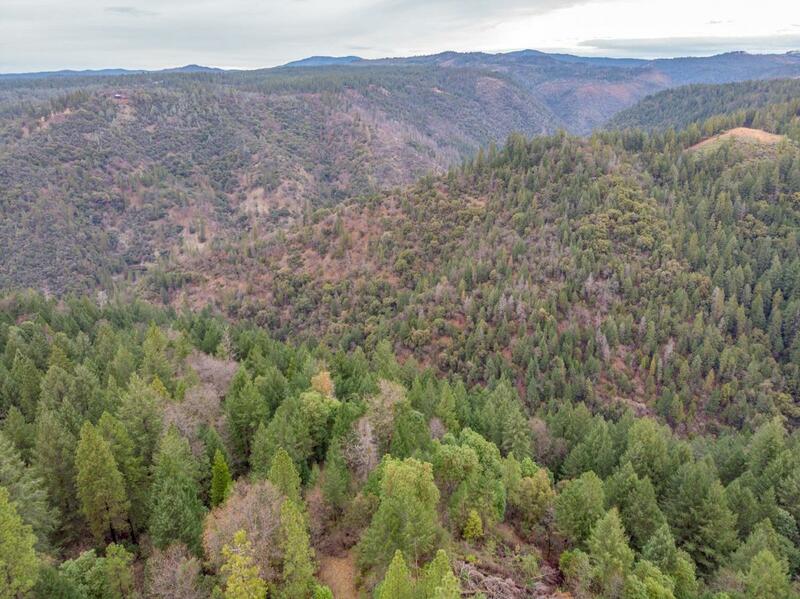 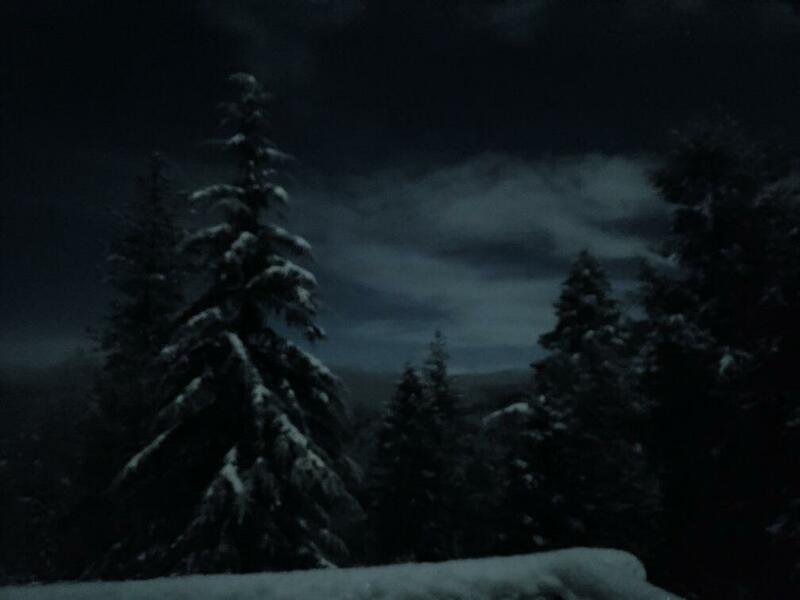 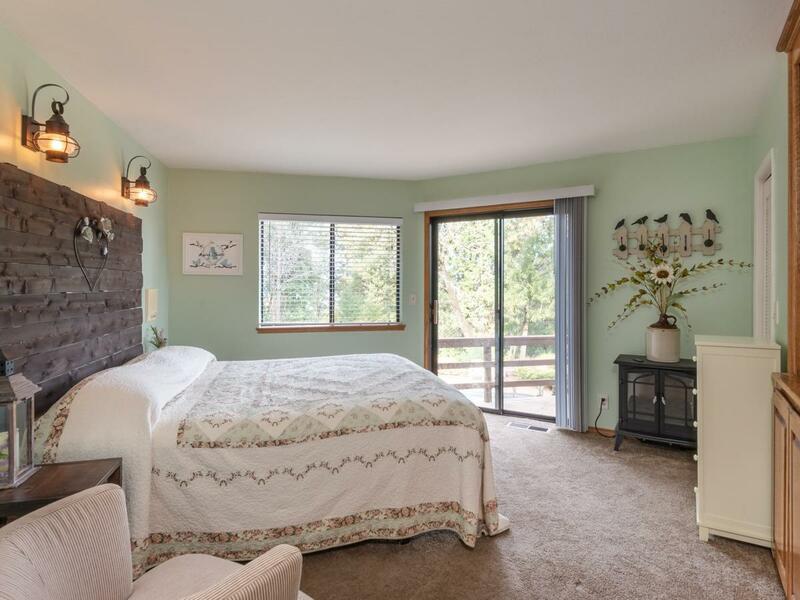 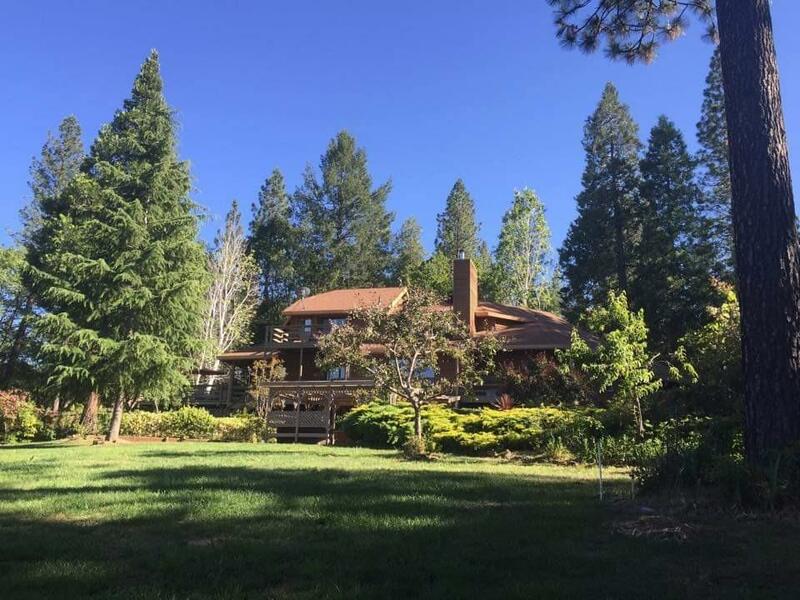 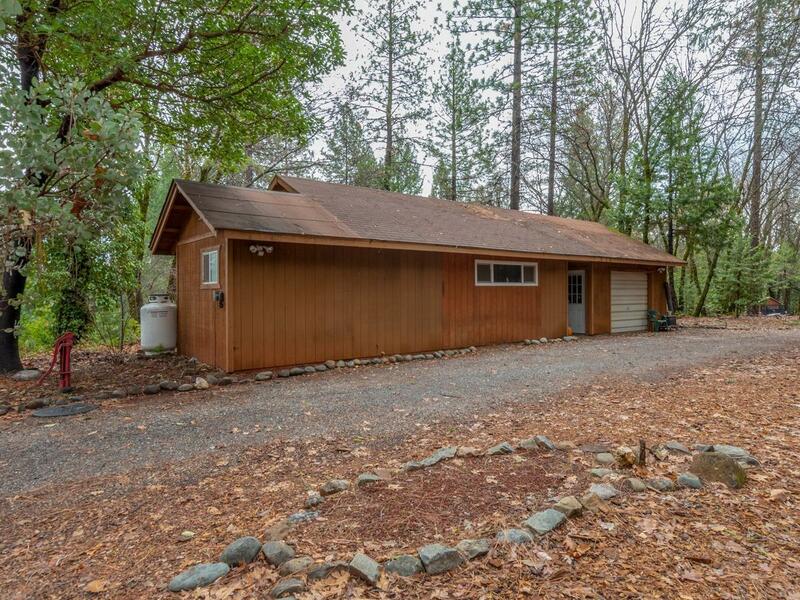 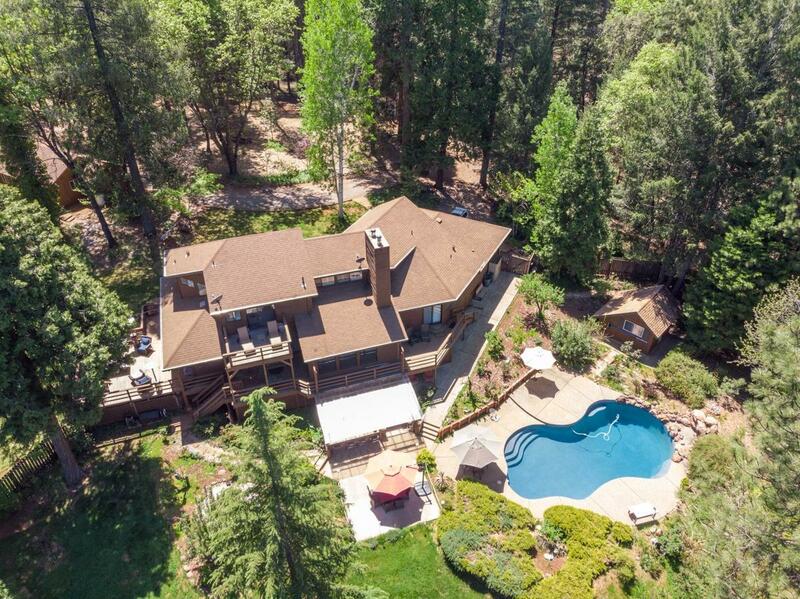 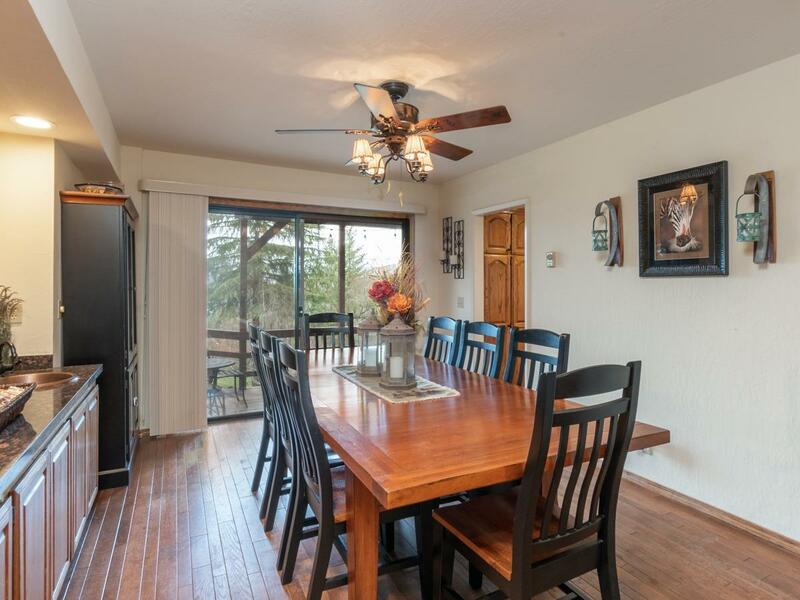 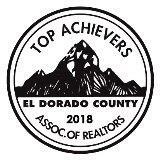 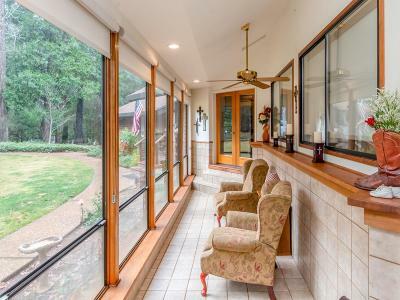 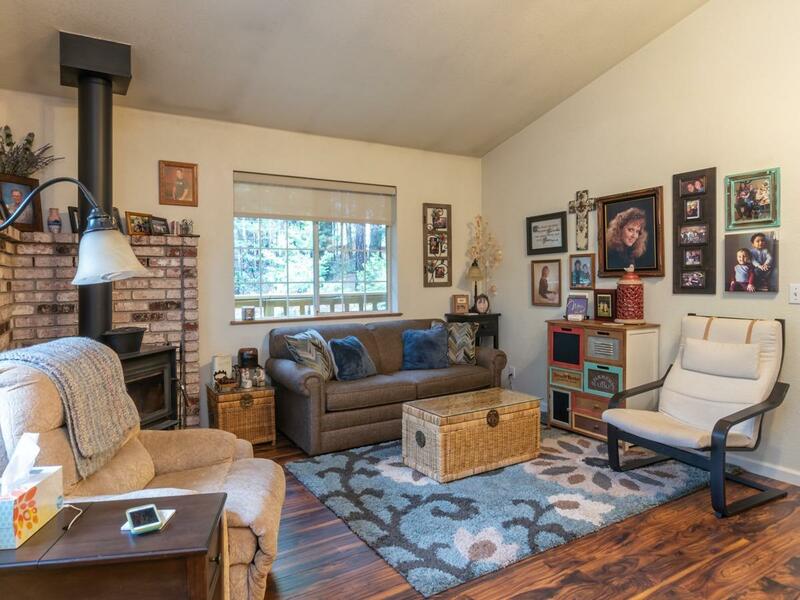 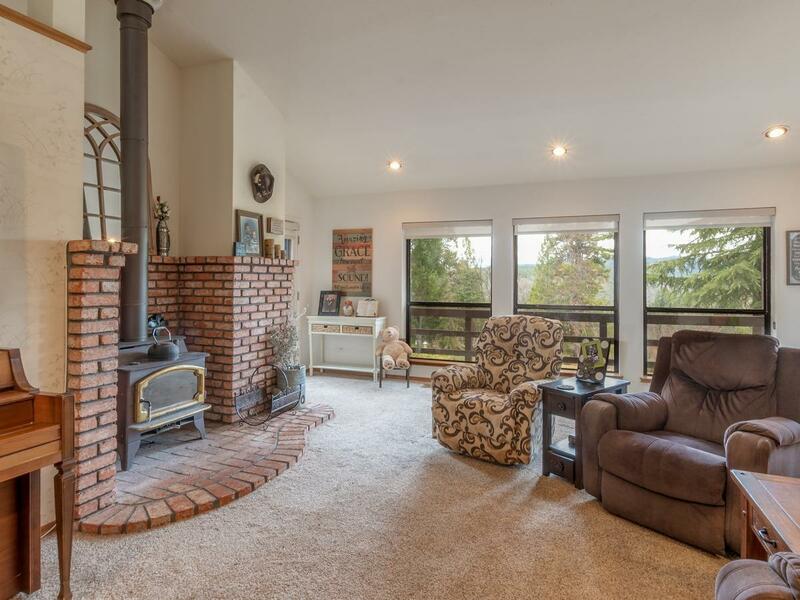 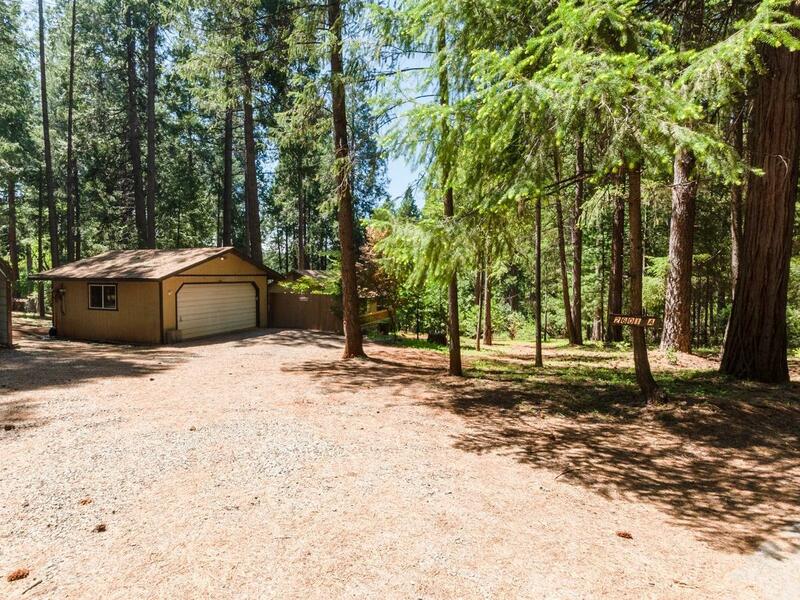 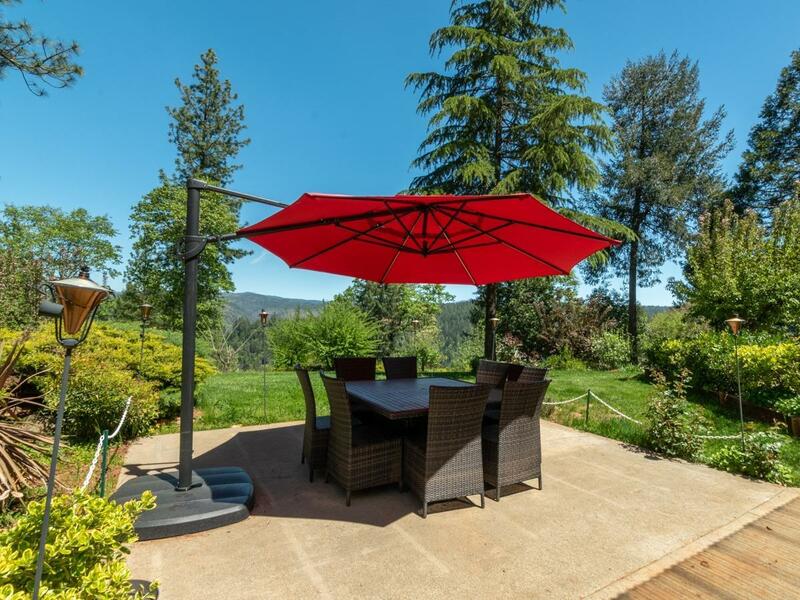 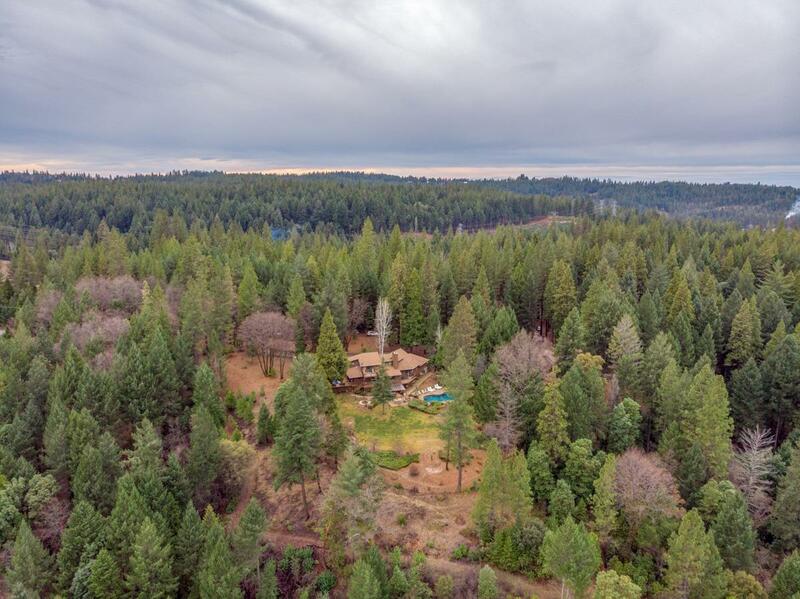 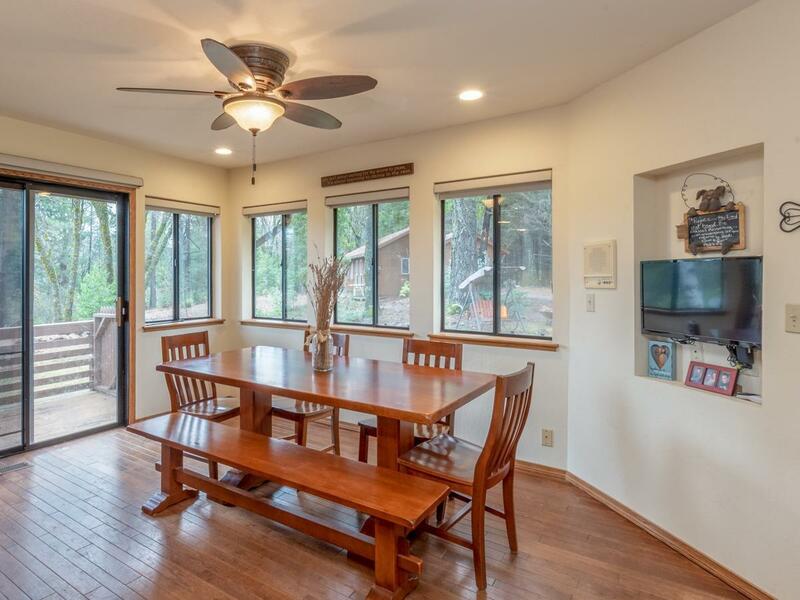 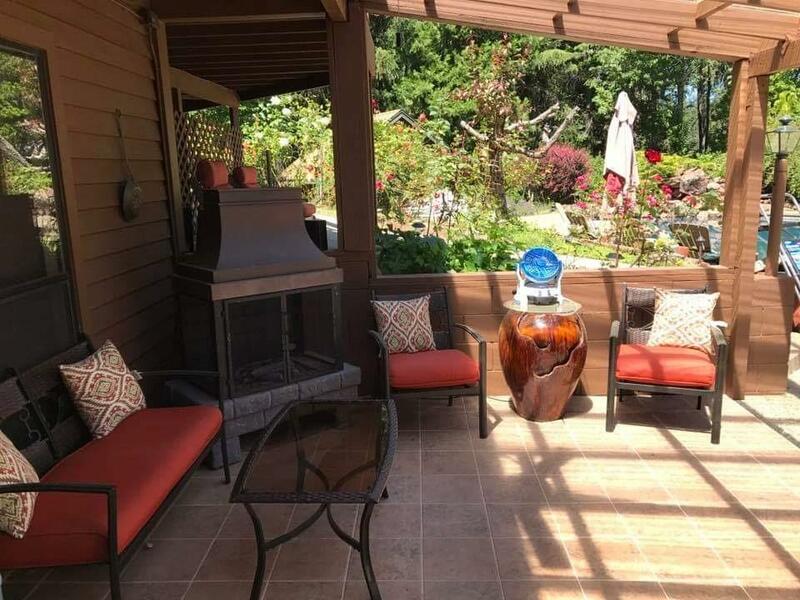 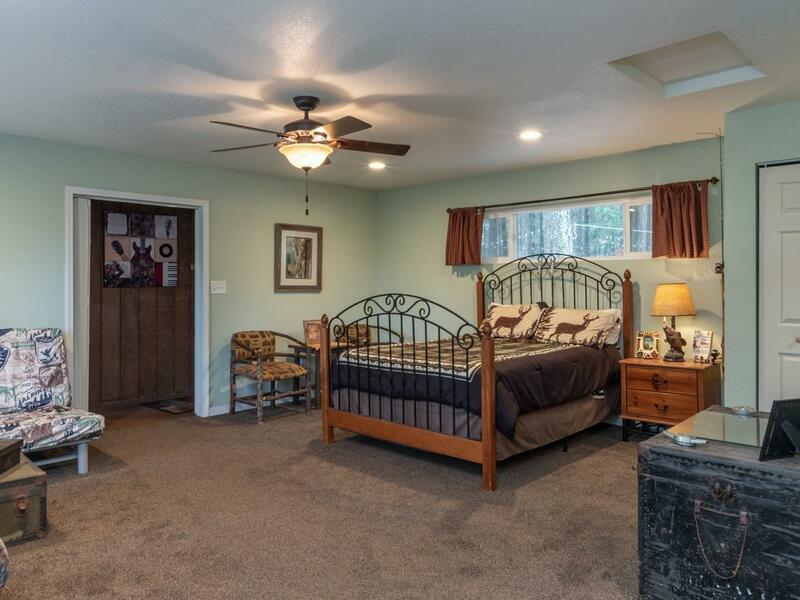 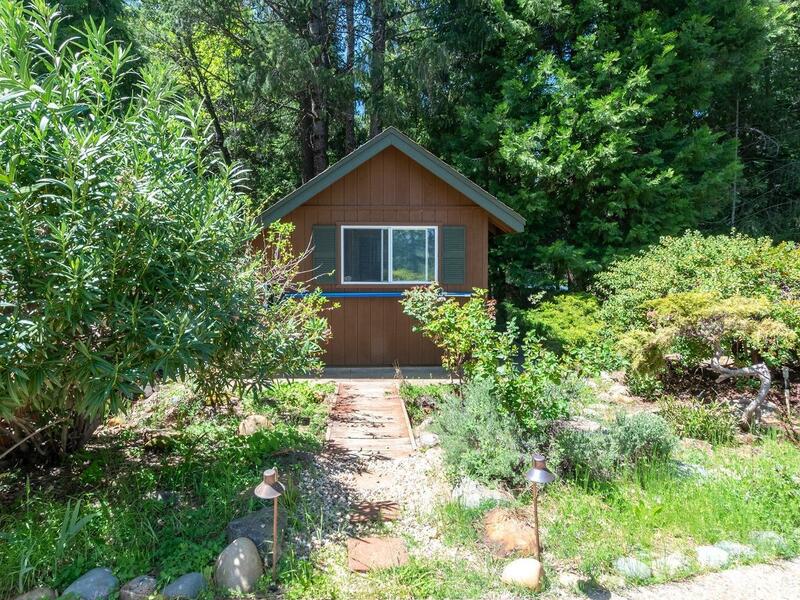 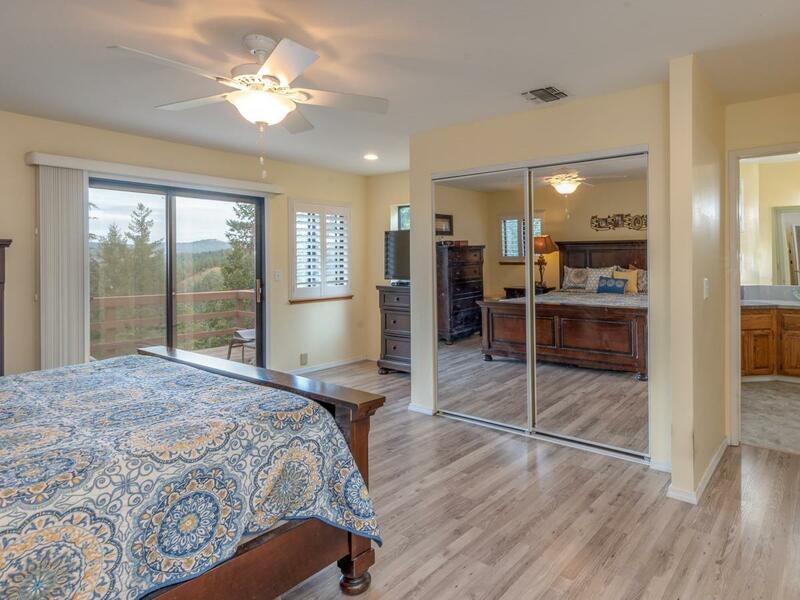 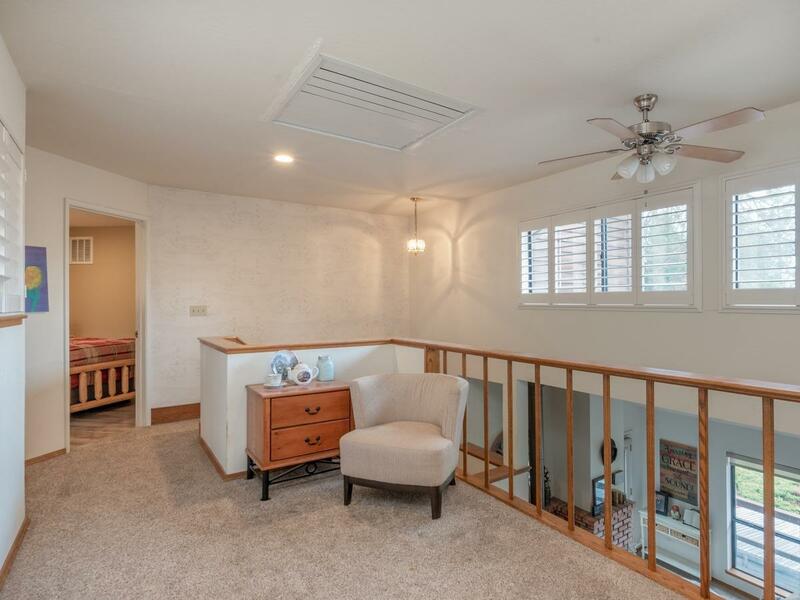 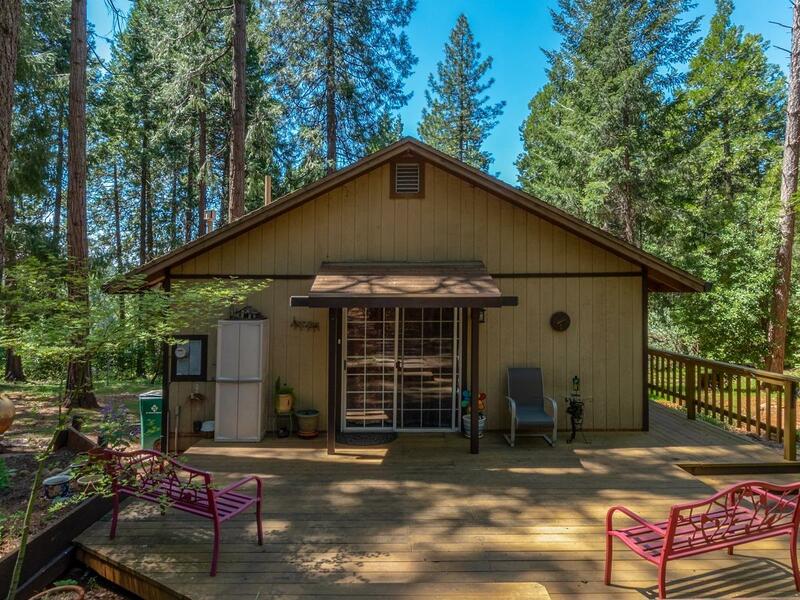 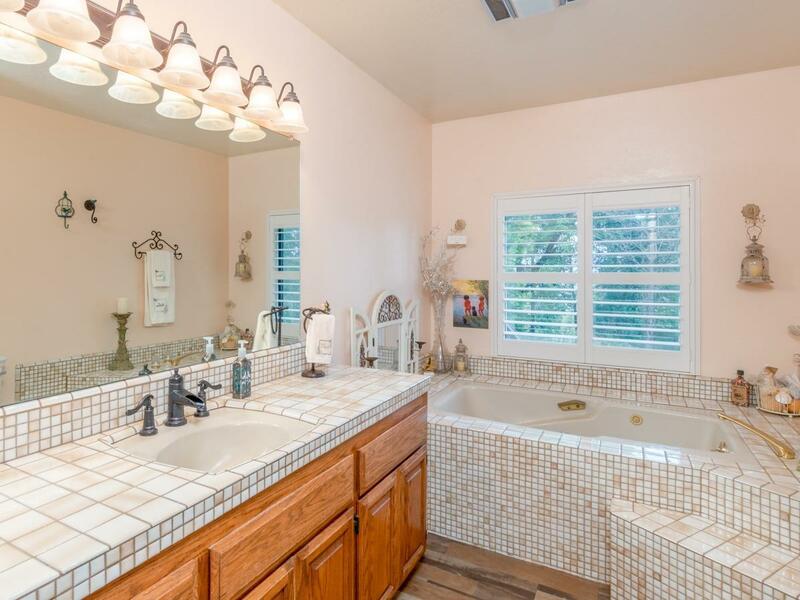 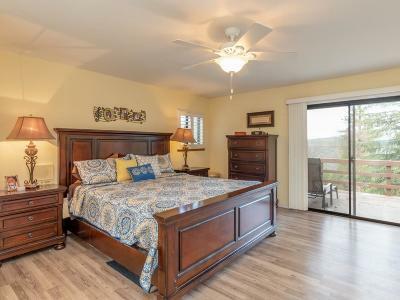 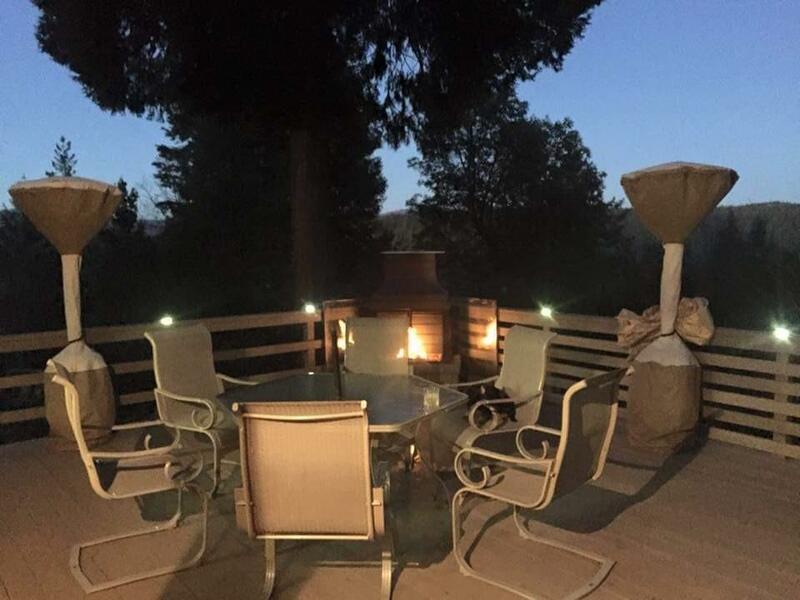 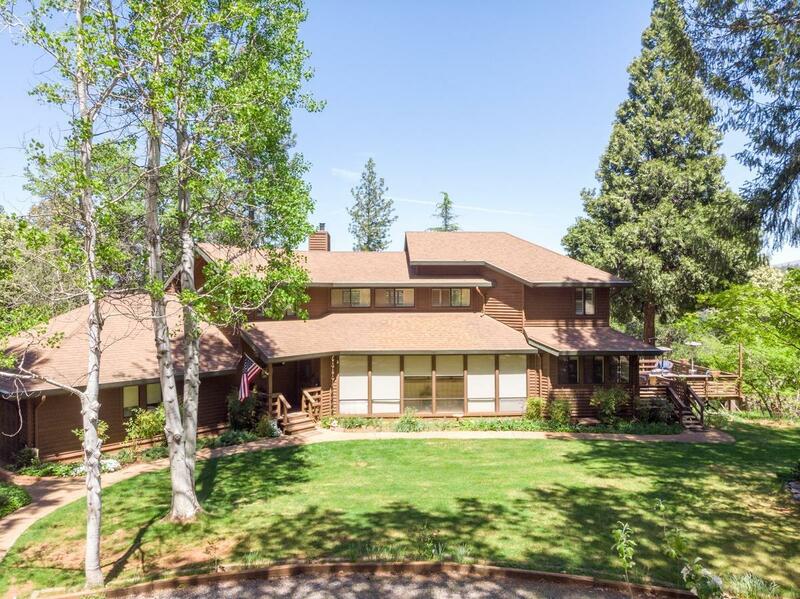 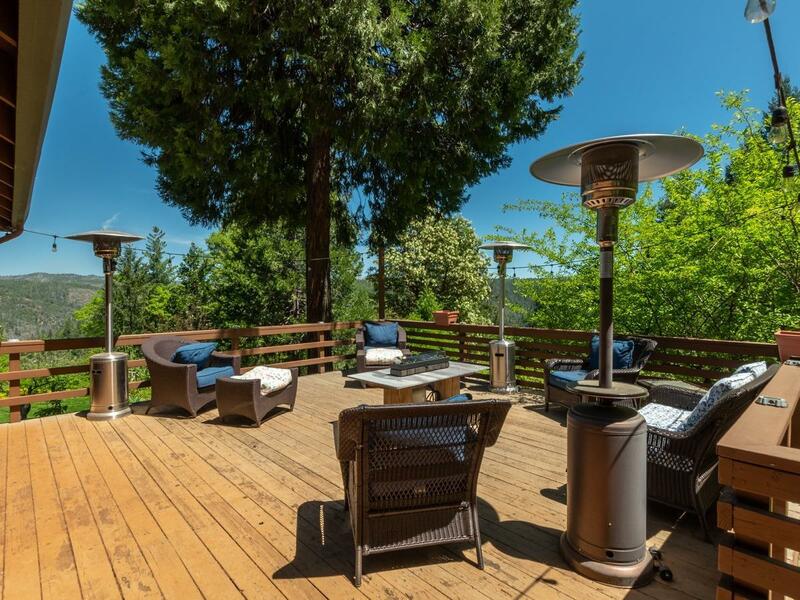 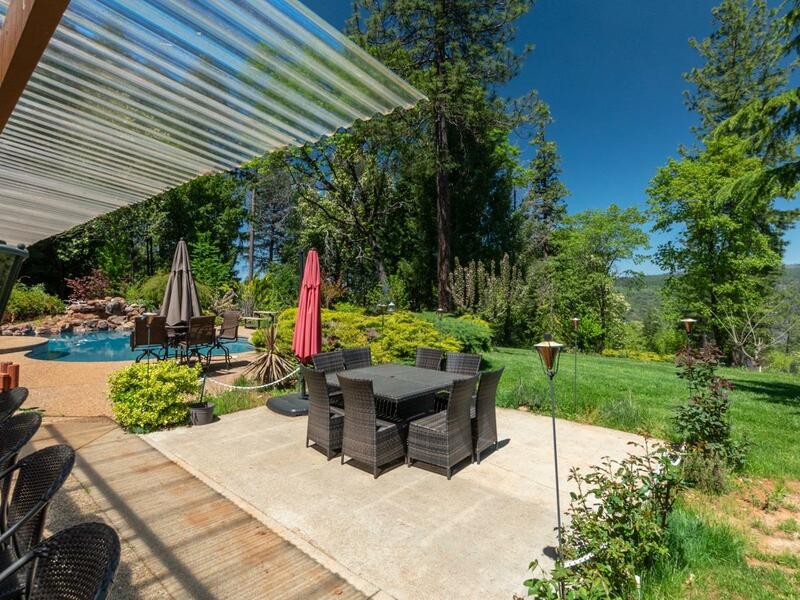 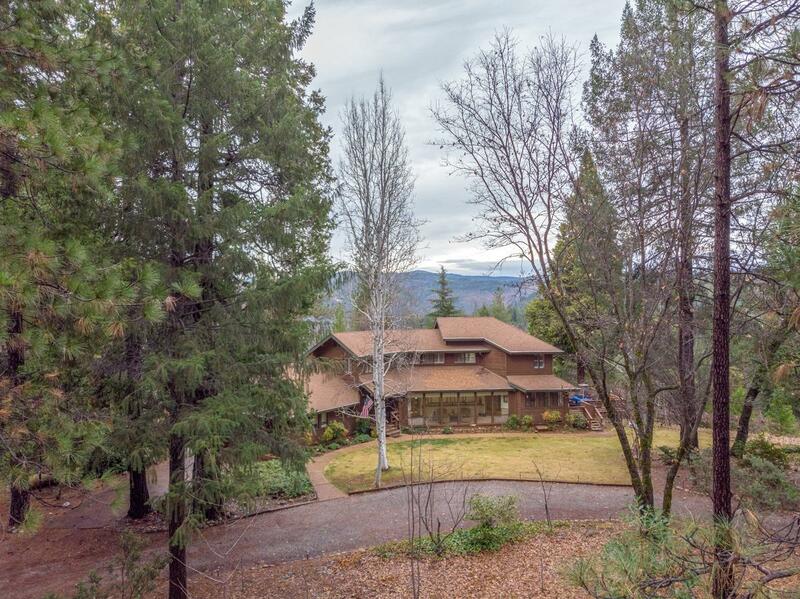 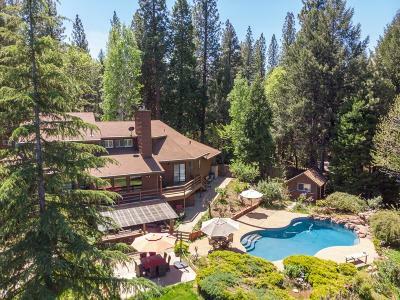 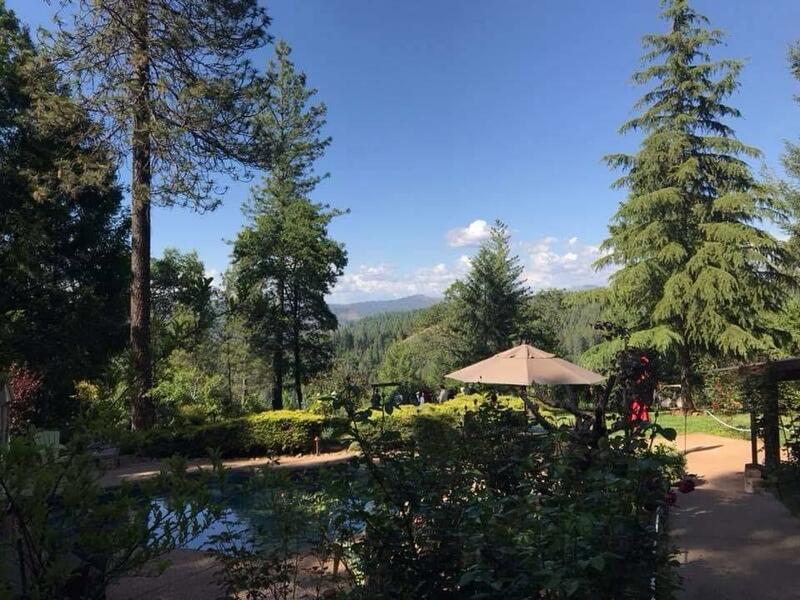 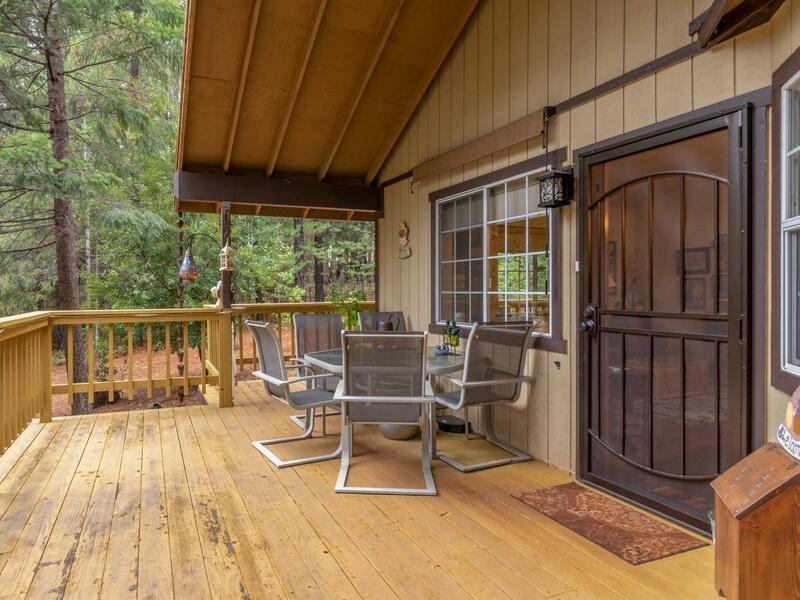 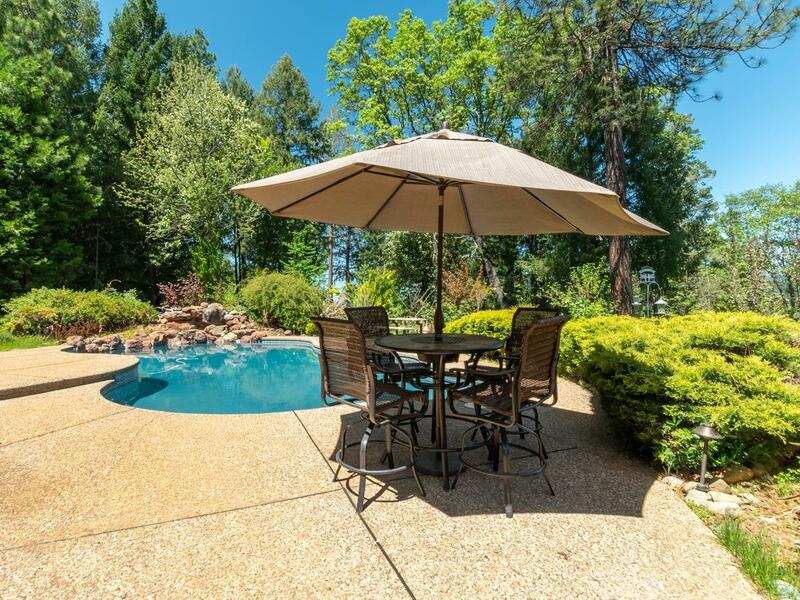 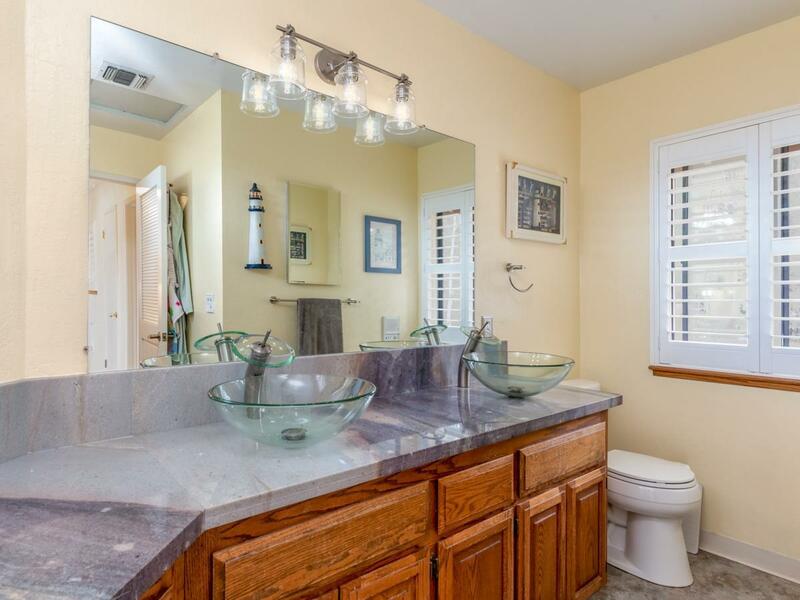 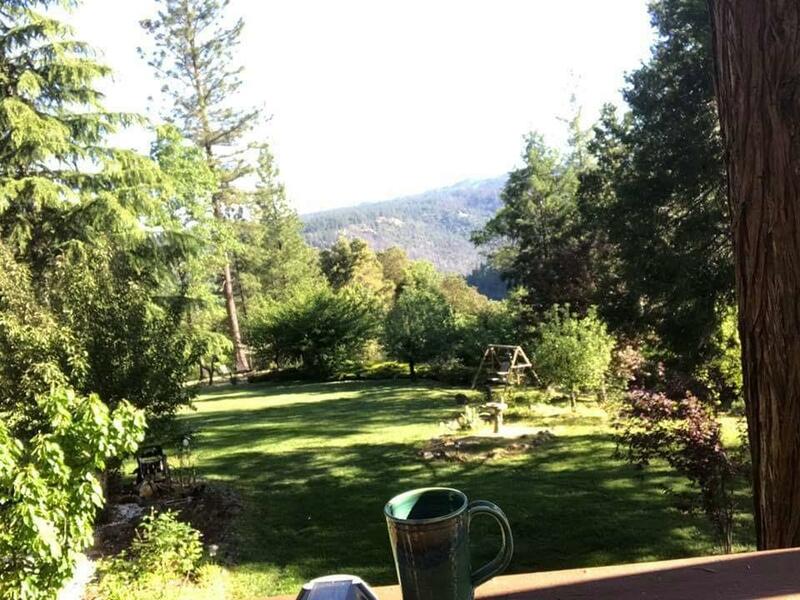 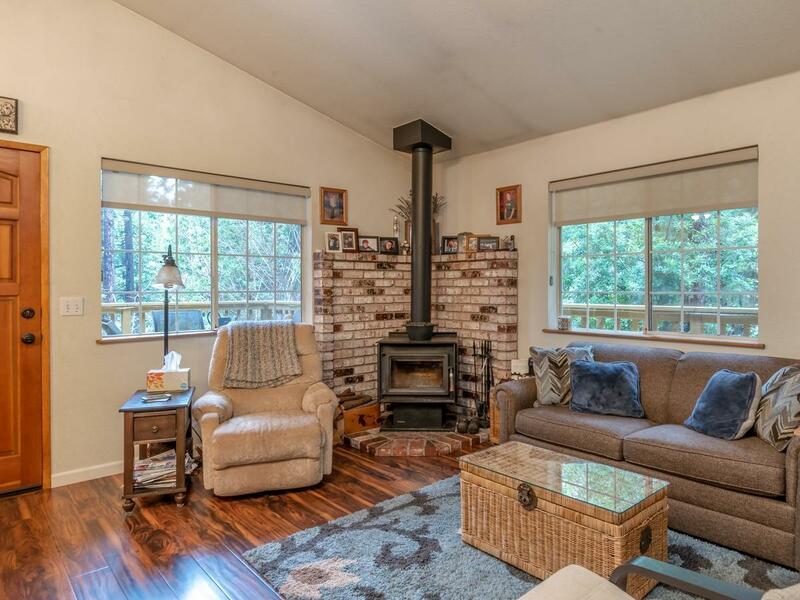 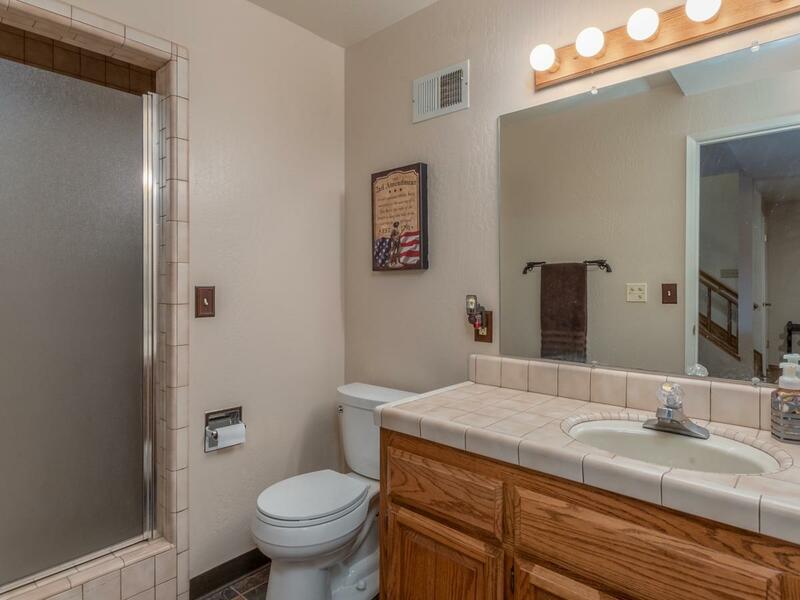 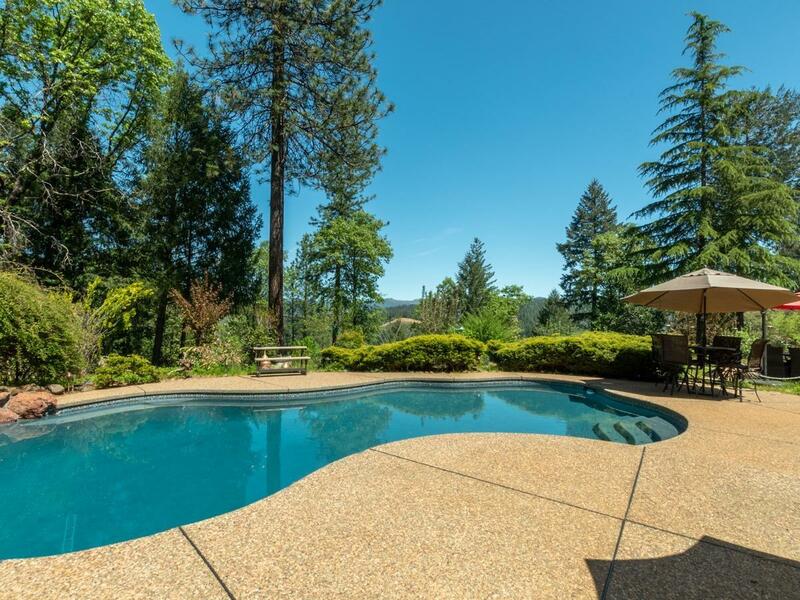 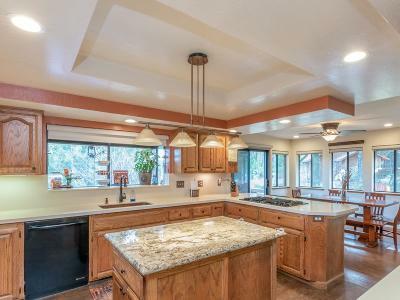 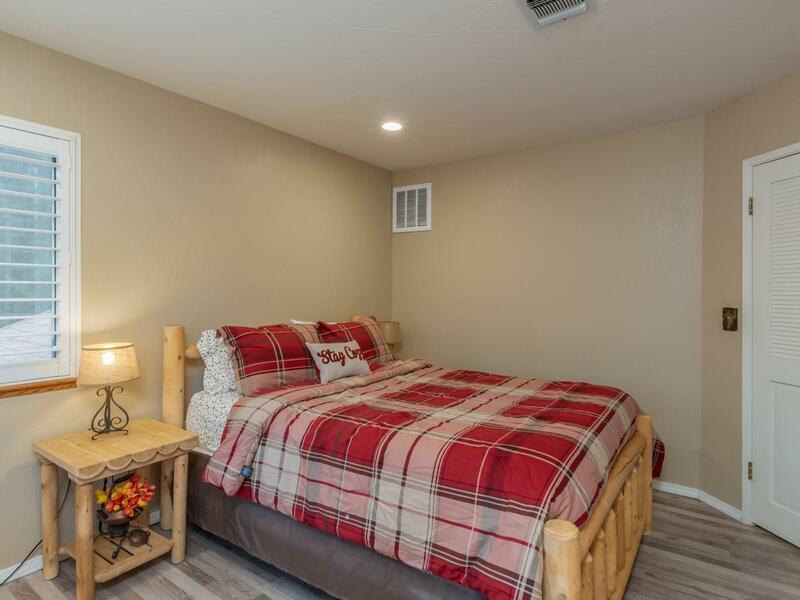 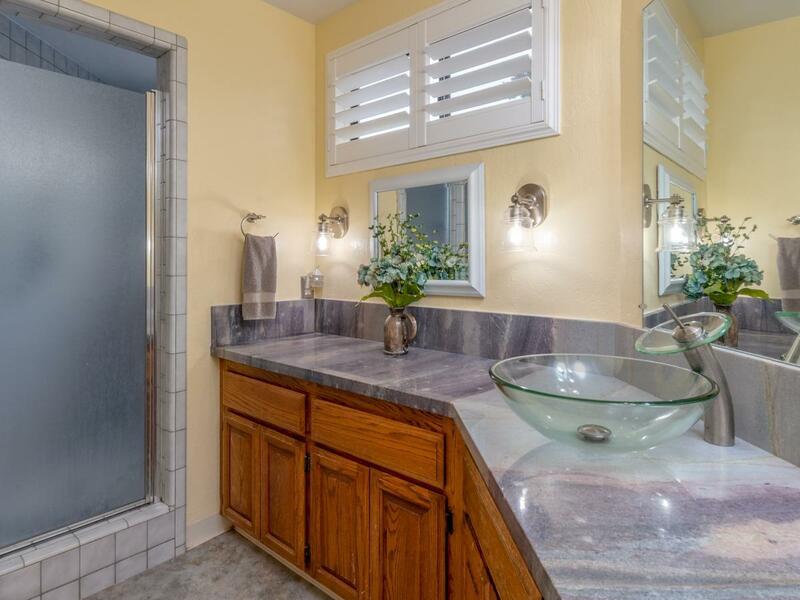 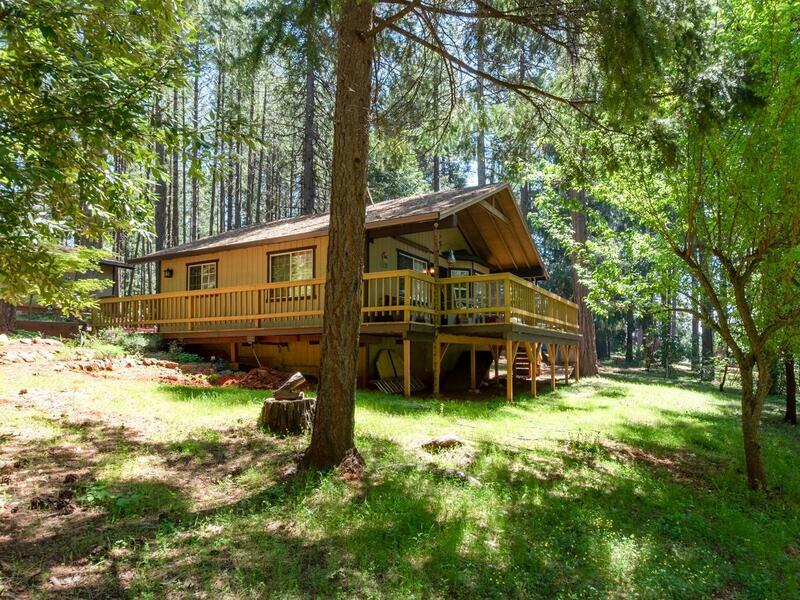 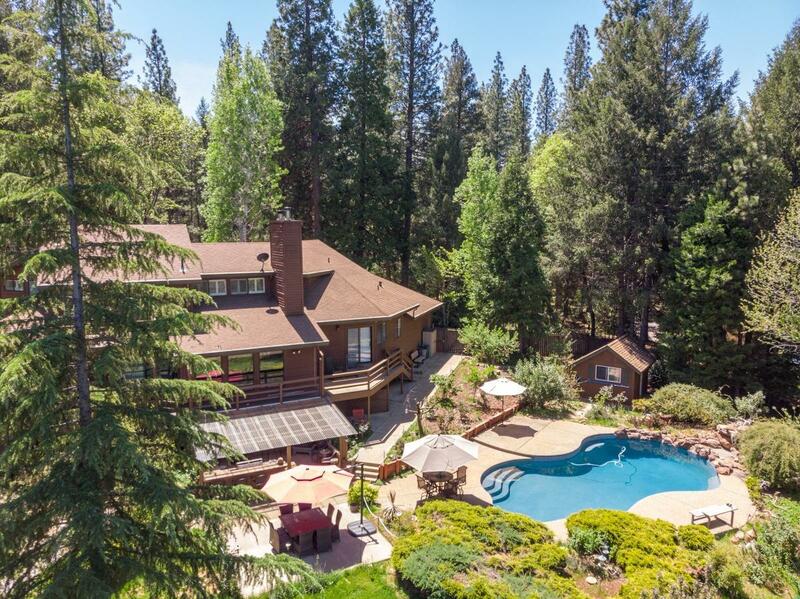 Multiple decks to take in the stunning views of American River canyon and snow capped mountains. 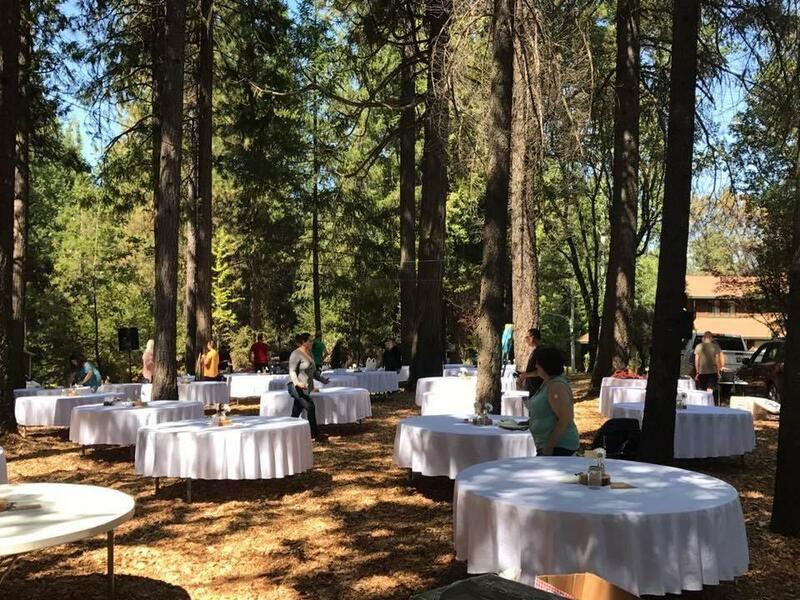 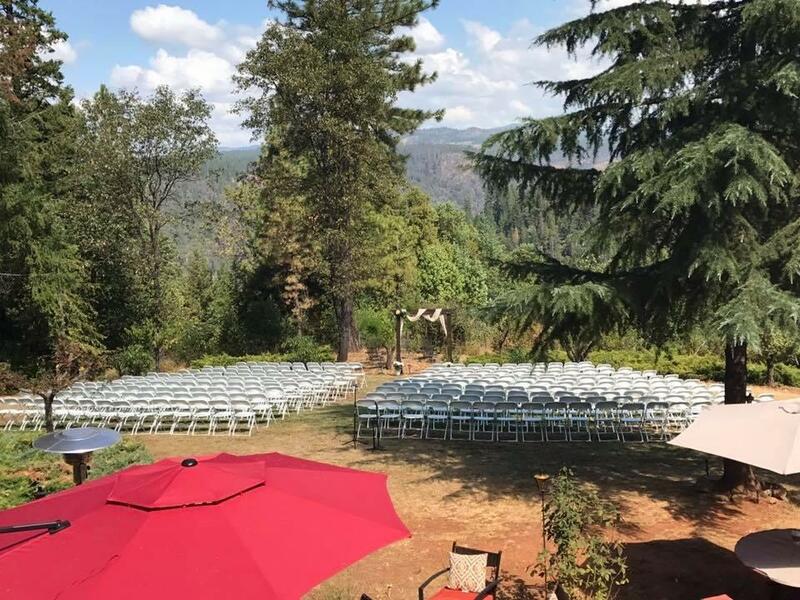 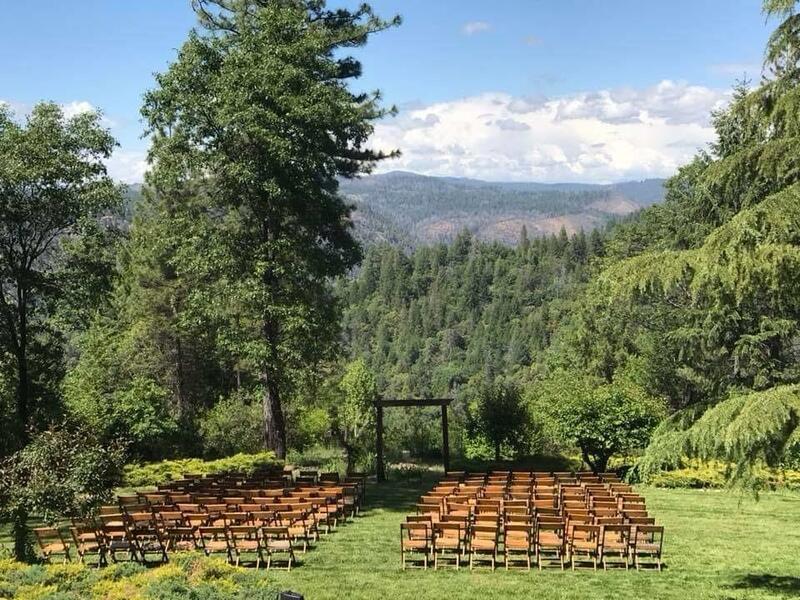 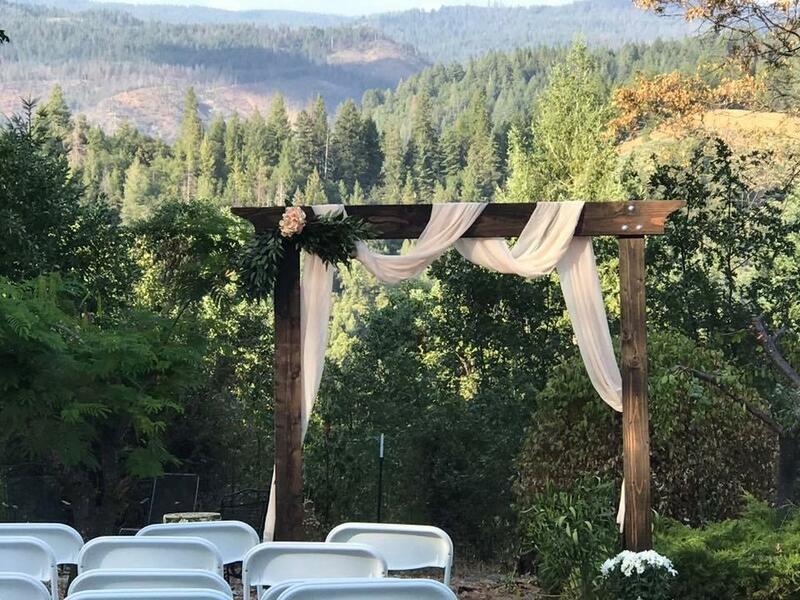 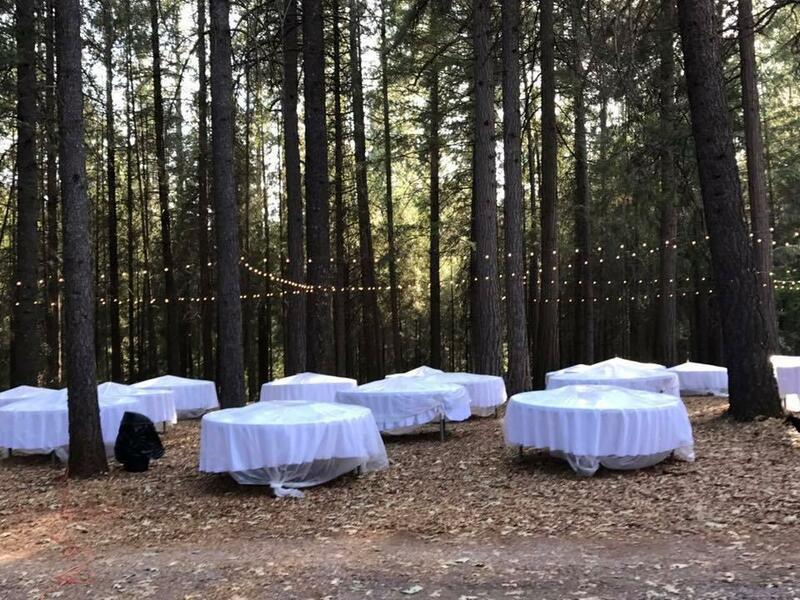 Wedding venue setting on 10 acres of beautiful, usable land. 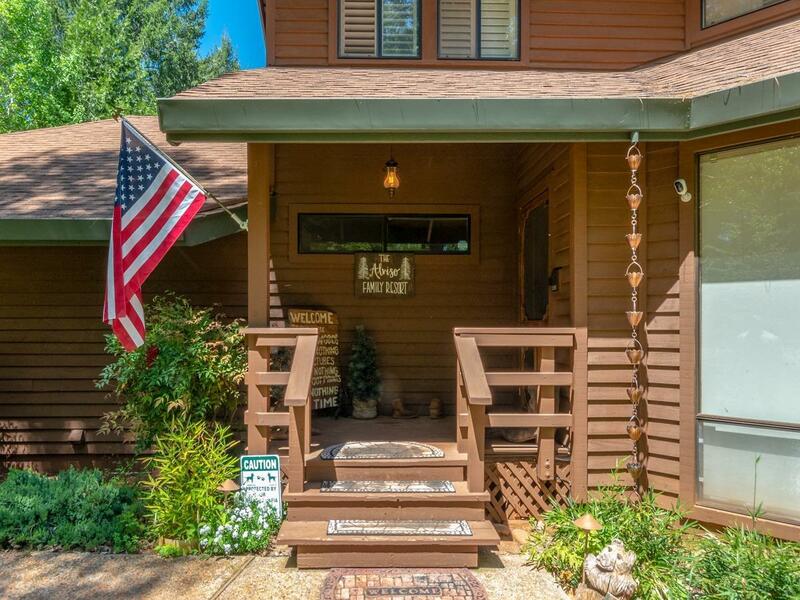 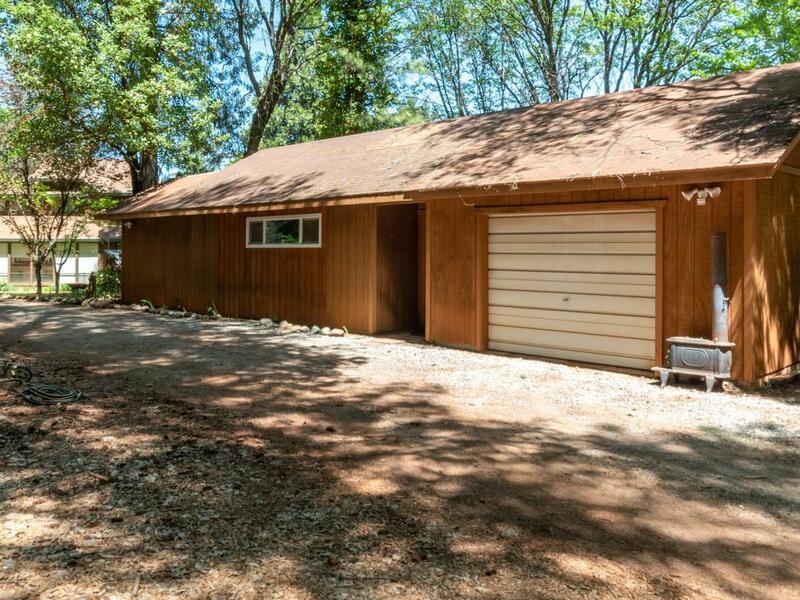 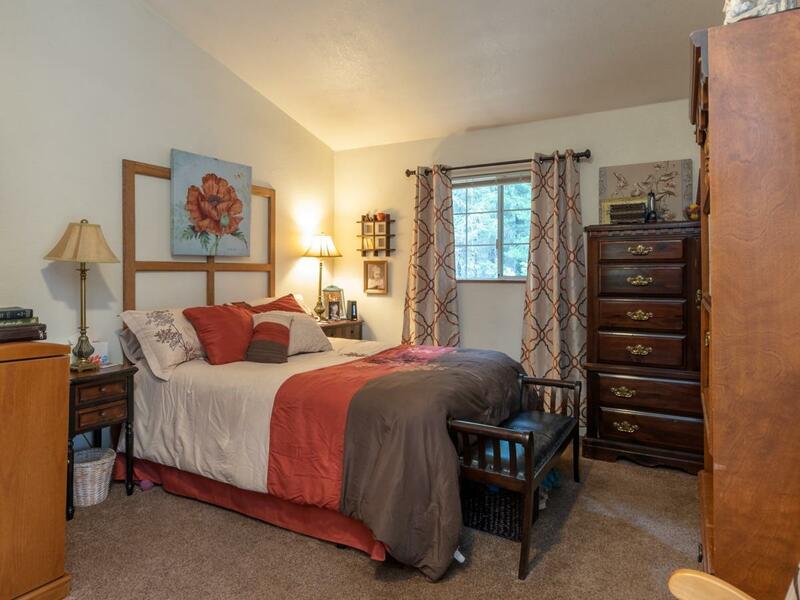 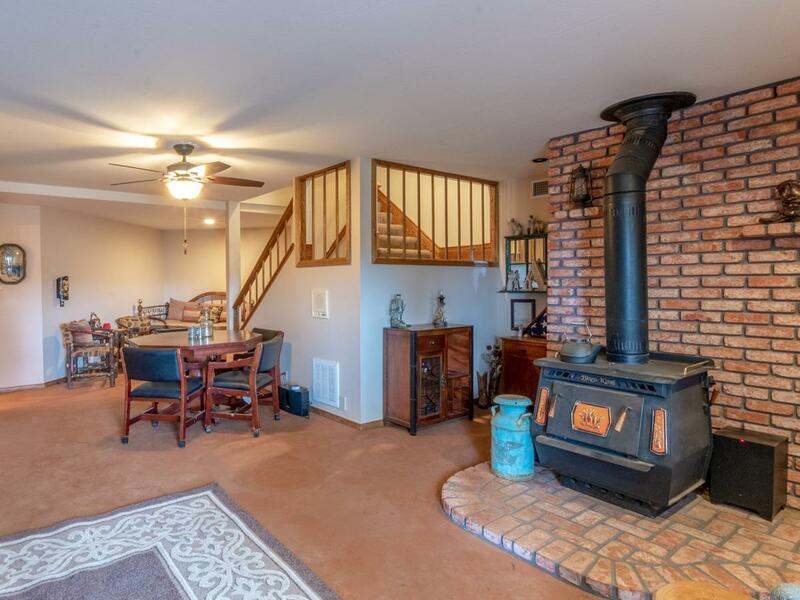 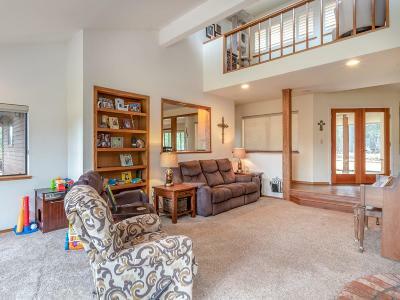 Main house has 3 bedrooms, office, and huge downstairs family room and full bath. 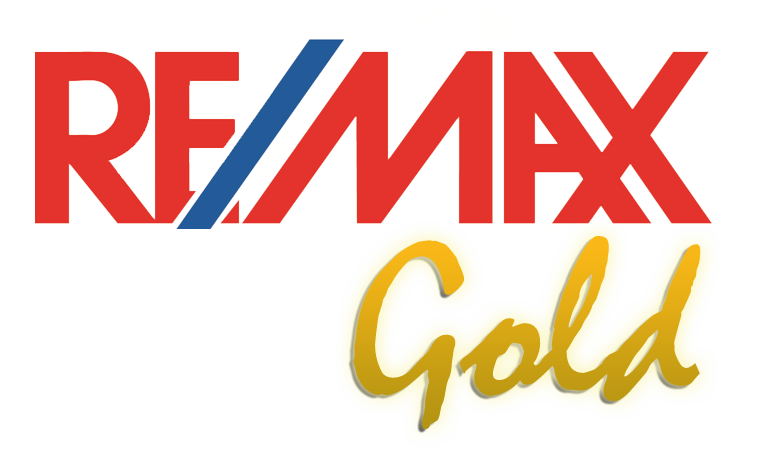 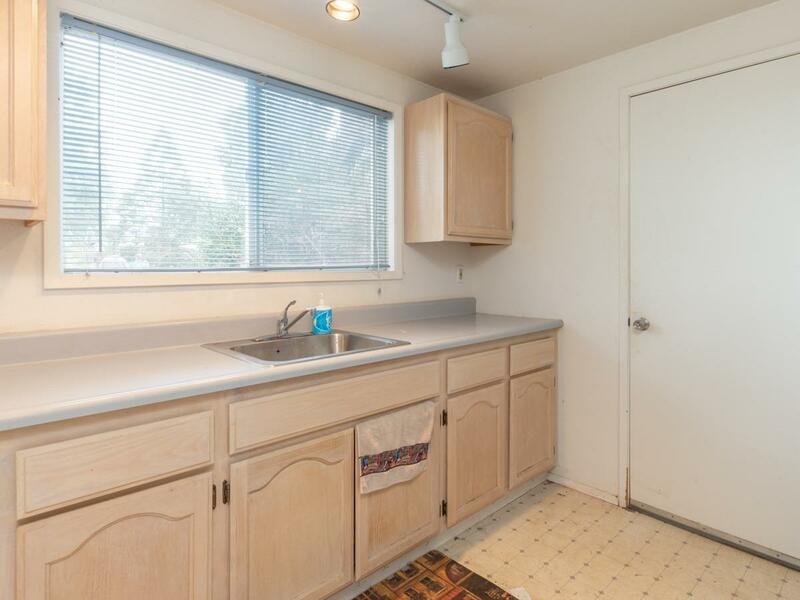 Kitchen is surrounded with cabinets, new high end appliances, quality quartz counters and hardwood flooring. 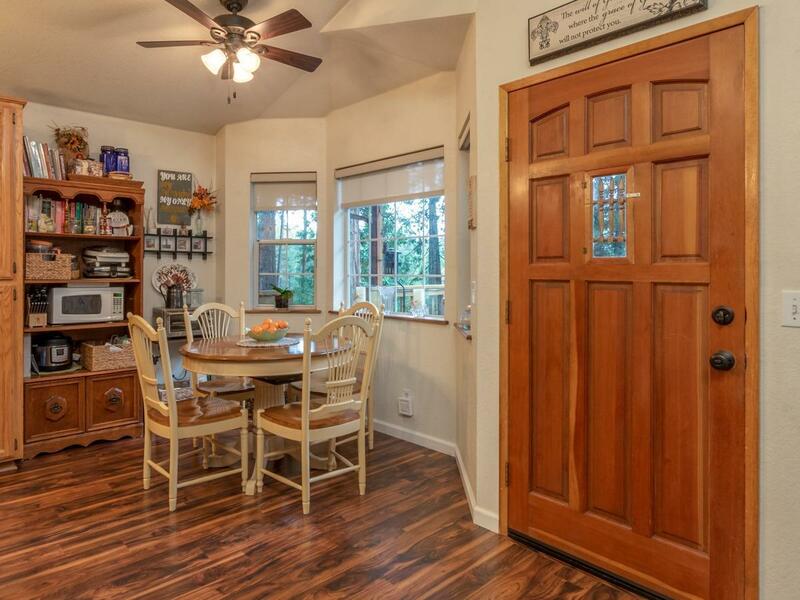 Two dining rooms for cozy dinners or large parties. 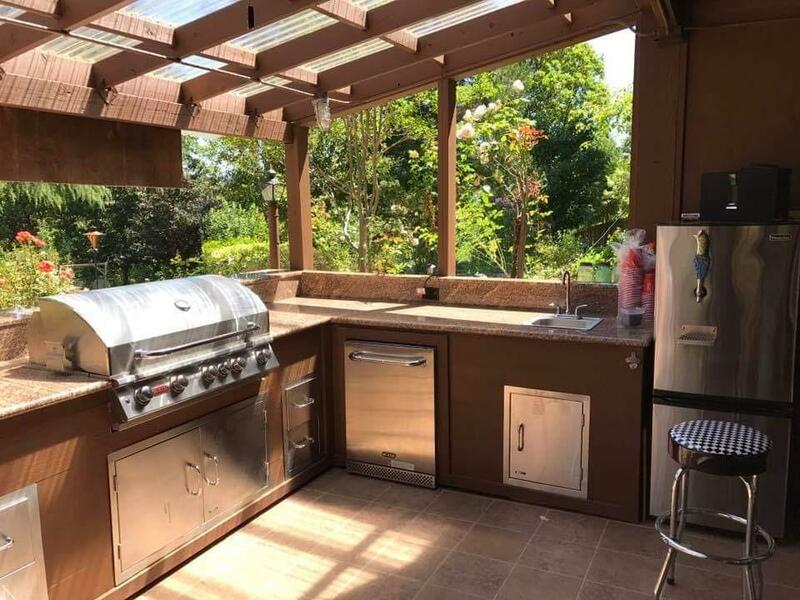 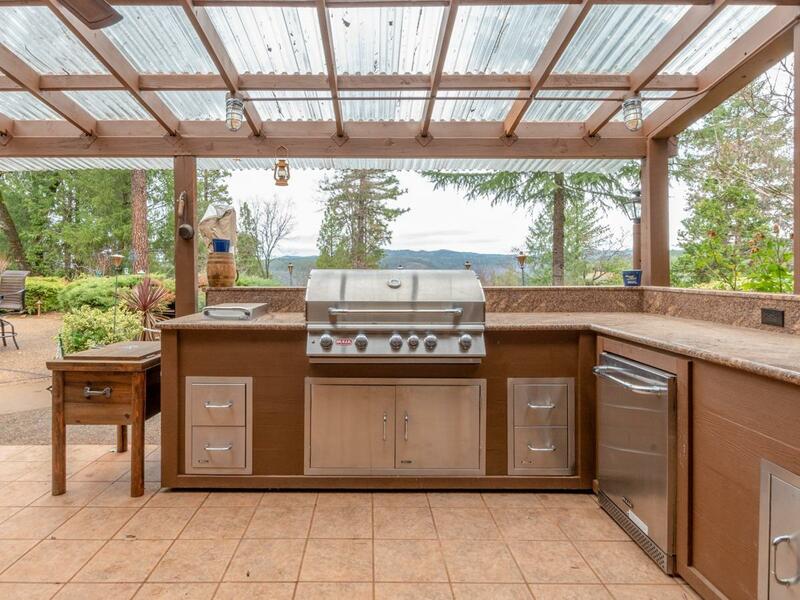 Patio has an entertaining cooks dream outdoor kitchen. 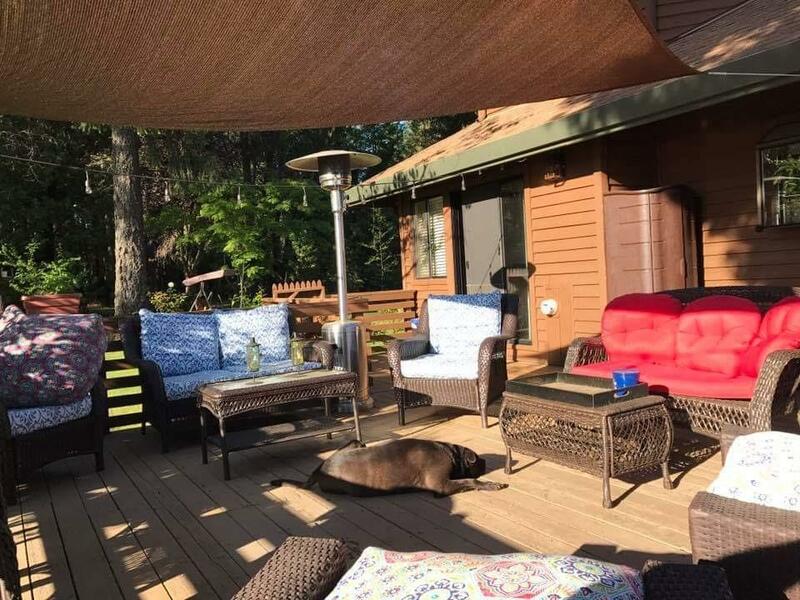 Covered for year 'round use. 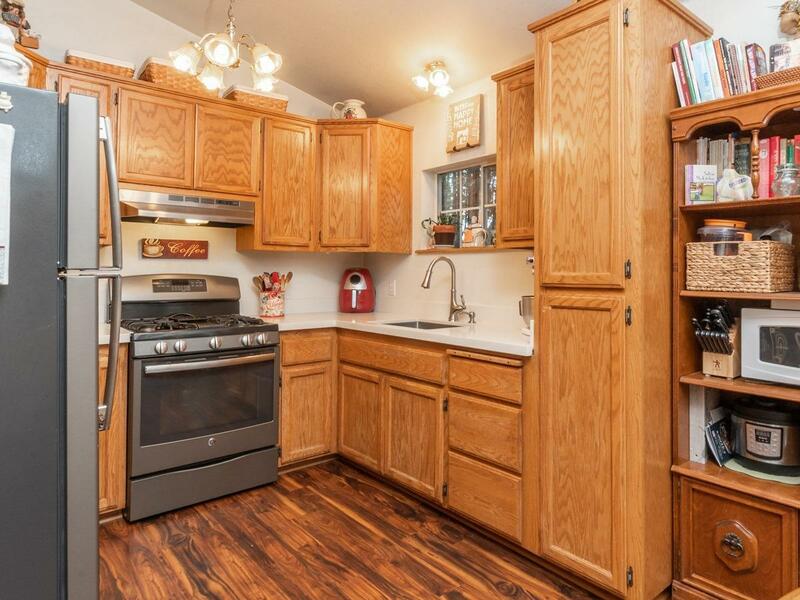 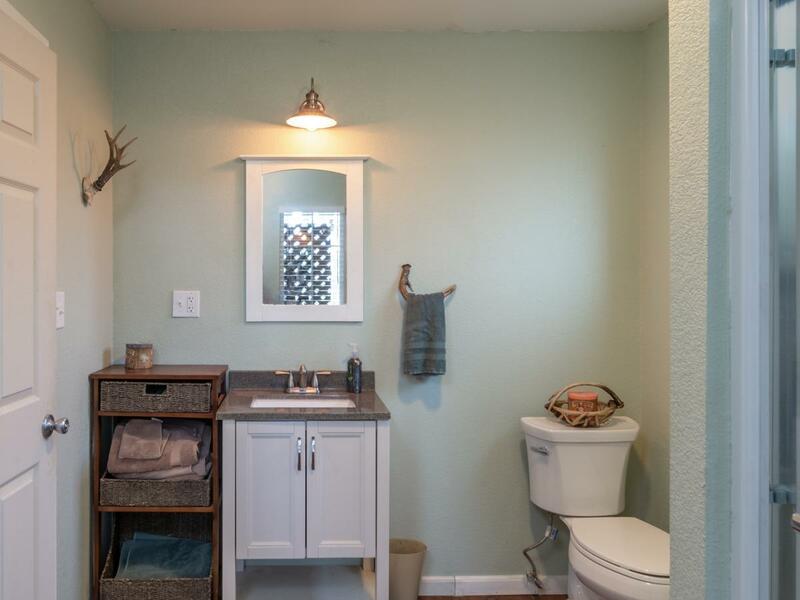 Second home has new wood flooring, quartz counters, decks, 2 car garage and carport (great rental income option). 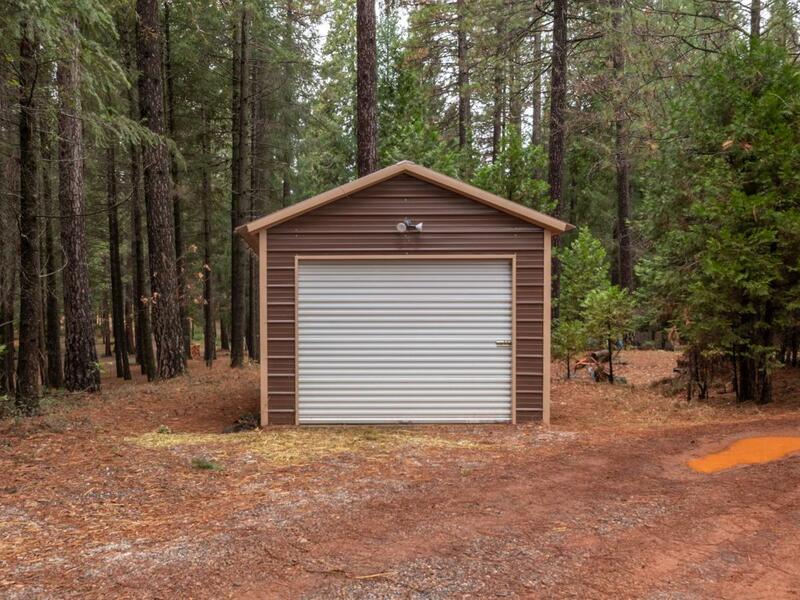 Studio has new flooring, propane heater, full bath and plumbed for a kitchen. 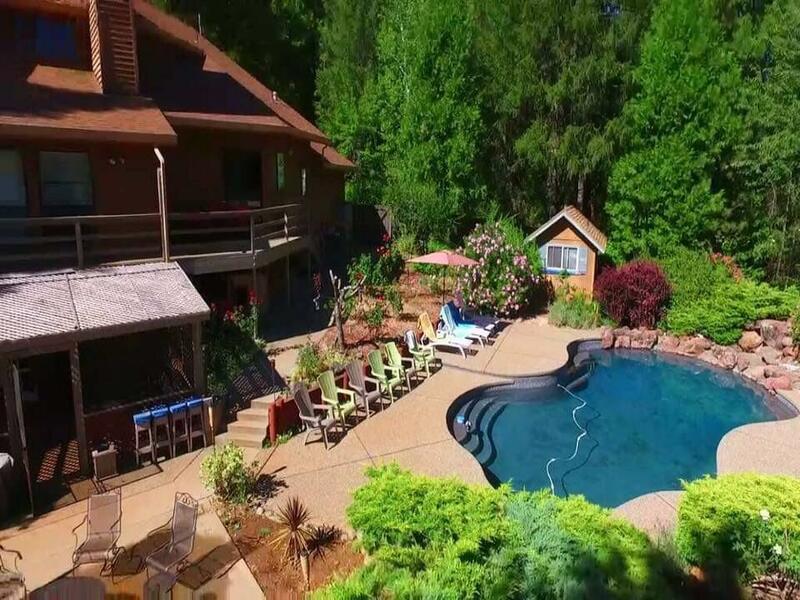 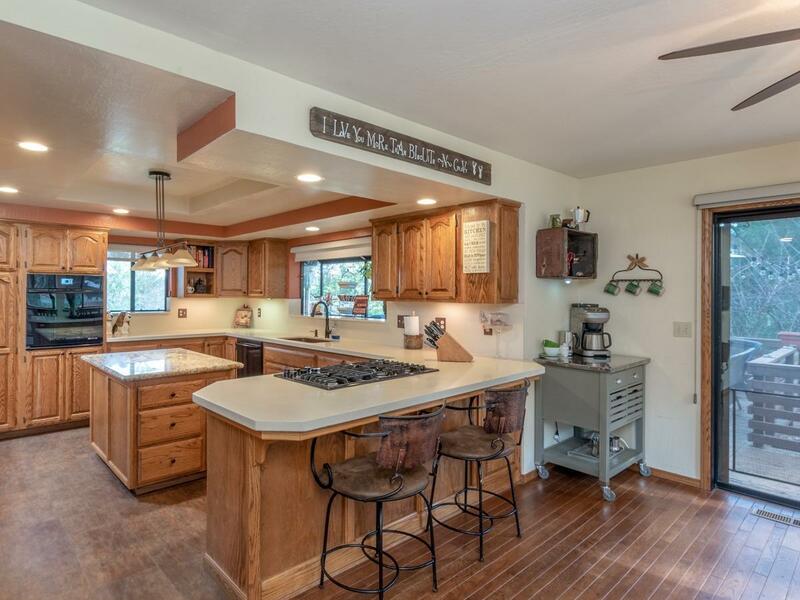 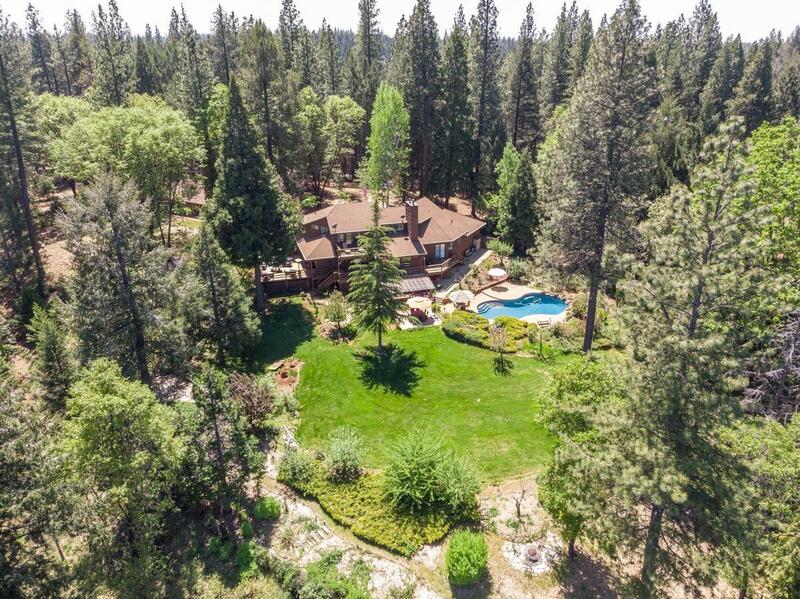 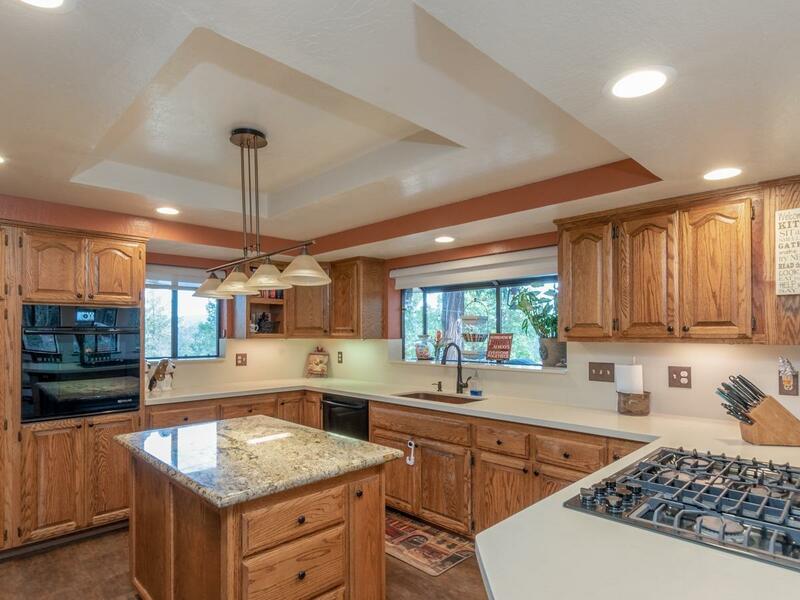 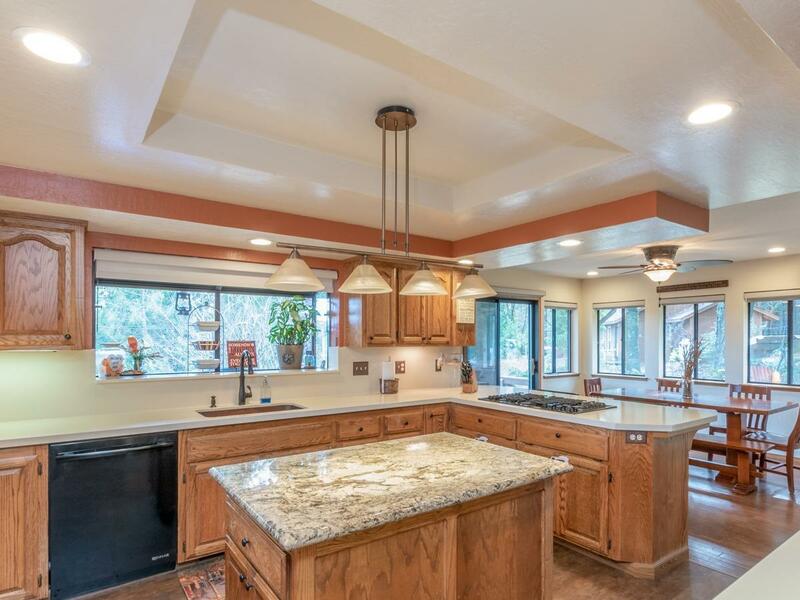 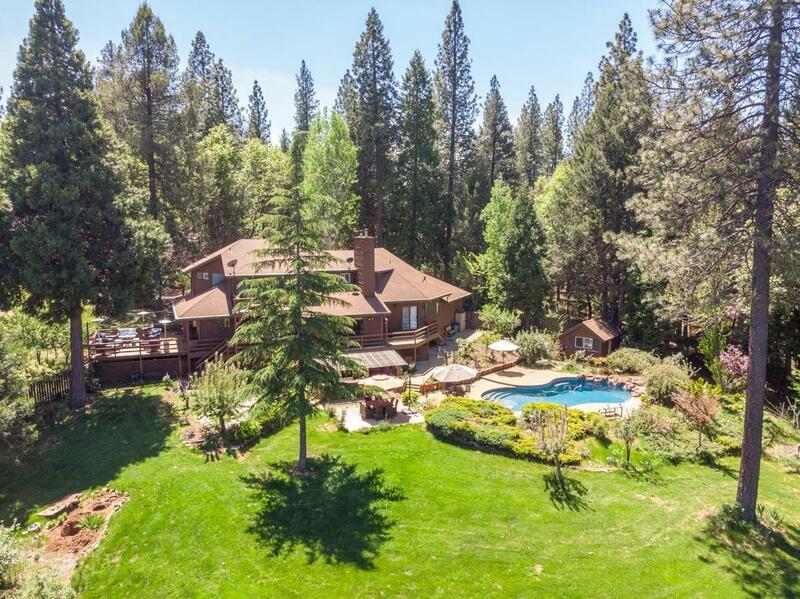 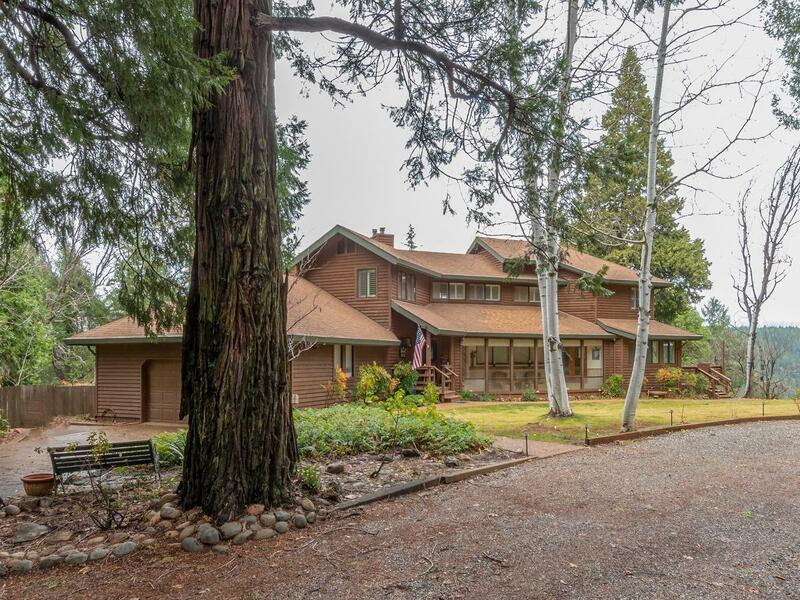 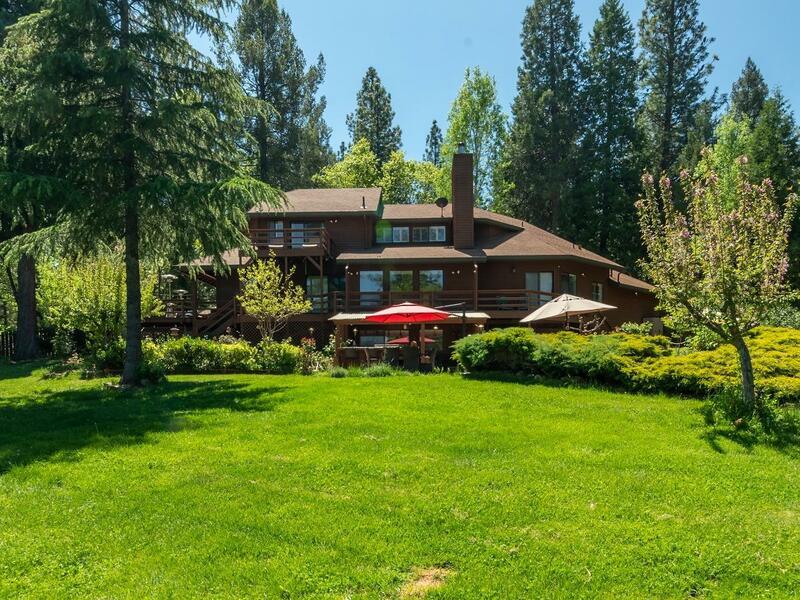 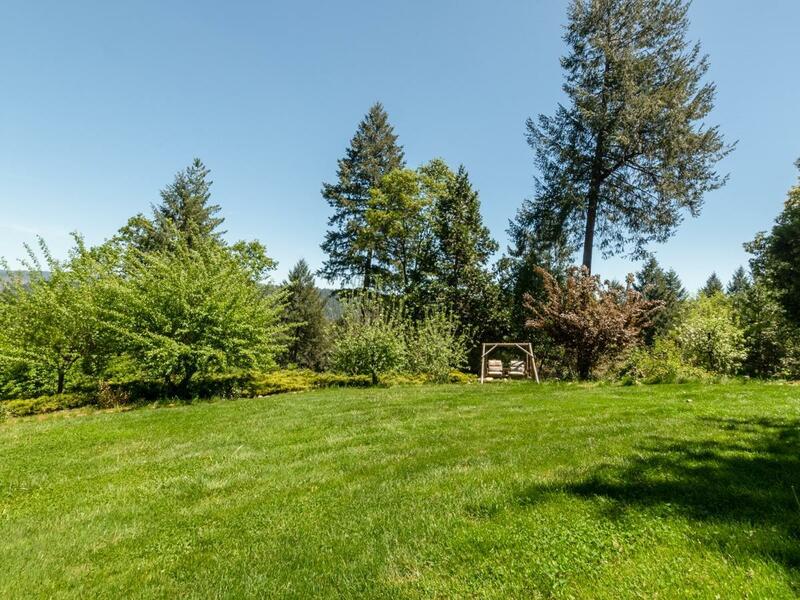 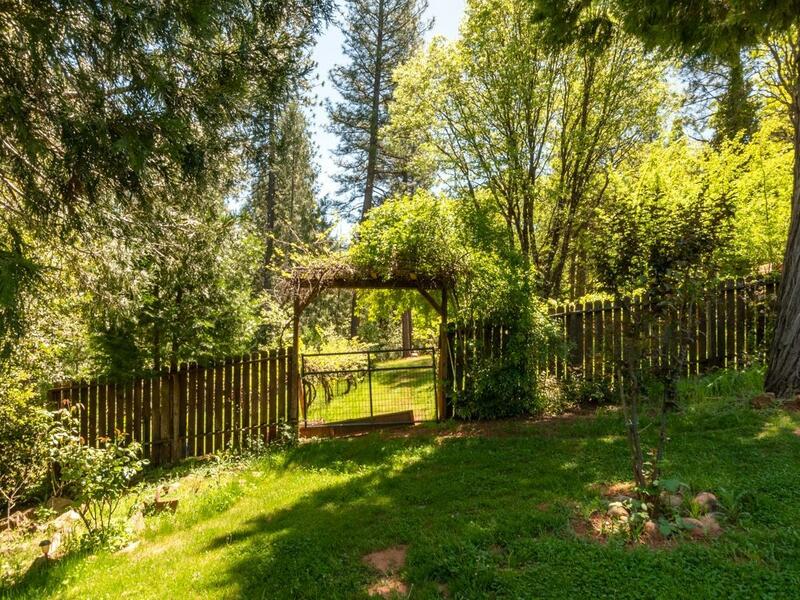 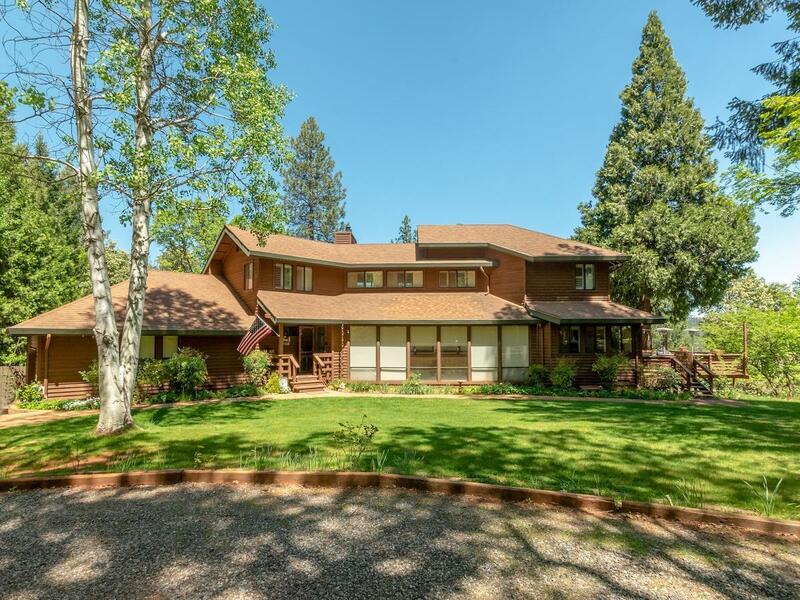 This property will take your breath away, in majestic Apple Hill country, near skiing, boating, and wineries.